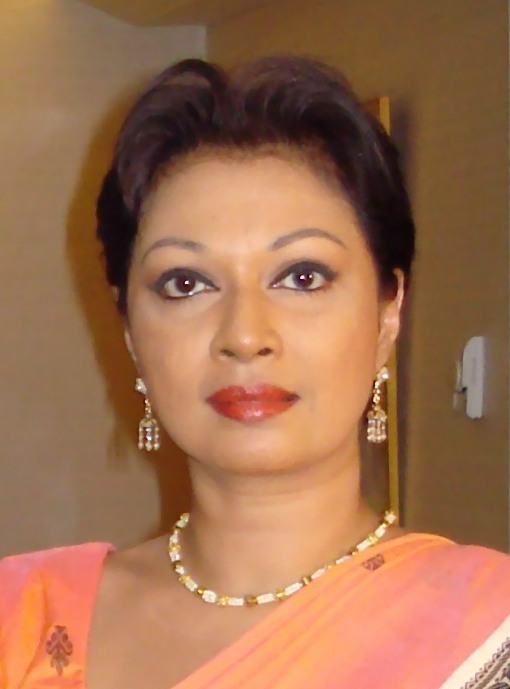 As a Sri Lankan first, as a member of the predominant ethnic community – Sinhalese, as a follower of the Buddhist philosophy and as a grandmother, I have taken it upon myself to address the youth and young adults of Sri Lanka, amongst them – the future leaders of Sri Lanka – through this open letter, as I consider it incumbent upon those of us now in our 50s and beyond to advise and do our utmost, to guide those of you who have obviously been misguided and led astray by the unethical and unpatriotic, with selfish and devious agendas. Our education structure no longer encompasses the crucial areas of ‘reading comprehension’ and ‘Ethics’- the moral principles on how one should behave decently, honorably and respectfully in society. One who holds only an academic qualification sans reading comprehension skills and ethics/integrity, is doomed to fail and is of no use to society at large. In fact, such a person is more of a curse than a blessing to society. Unfortunately, most of those engaged in the teaching profession lack ethics and reading comprehension skills themselves or are unaware of such. So, how can such a teacher teach their students something they have no knowledge of hence don’t practice it themselves? Who is there to teach the teacher? My interaction on social media has been a stark eye-opener for me as a journalist and a writer on sociopolitical issues, as I have come across a cross section of society I wouldn’t otherwise meet. Therein I have found, those belonging to varying social strata, from the well-rounded educated and ethical to the common street thug. Hence social media is a useful platform for those of us focussed on evolving sociopolitical issues in Sri Lanka. Besides networking decently, social media is also a platform where people display their true colours or their dark side without realising it. The cunning amongst them hide behind fake names and profiles to launch their racist and sexist attacks on the other, and the foolish do it under their own names and faces. These are the people who are referred to as ‘trolls’ on social media. The majority of these trolls are ill bred and uncouth men with a handful of their female counterparts included, but, the males are in the majority. This is not at all surprising in a society where a woman cannot walk freely in public or use public transport without being harassed by sexually depraved men. These trolls are basically cowards suffering from acute and varying forms of inferiority complexes who take cover behind a phone or a computer to attack the other. If you ask any one of them to meet you physically and repeat to your face what they do hiding behind a keyboard, you can bet your bottom dollar they never will. I know this from experience. They wear masks in society to hide their true selves, yet inadvertently expose their dark side on social media. Hence you will never know the real person behind the mask when you meet them face to face but on social media, you will. Amongst these trolls are professionals such as Doctors, Lawyers etc., including Journalists who will even sell their souls for a free laptop or less. Their behavior brings them down to the level of the uncouth, ill-bred common thug on the streets. Hence the medical, legal and journalism which were once amongst professions which regarded ethics as sacrosanct, is no more! It is all well and good to be armed with academic qualifications – degrees, PhDs etc., but, if you lack ‘Integrity'(morality, courtesy and decency), your academic qualifications are of no use, because, a decent society will judge you first NOT by your academic qualification, but, by your conduct in society. Hence a ‘Professional’ and others who lack integrity ends up spitting on his/her own face, their families, schools, religion, the profession he/she is engaged in and last but not least, the ethnic community you identify yourself with and as a Sri Lankan. Further, unsurprisingly, I also discovered by going through the profiles of these trolls on social media that 99.9% of them were Sinhala-Buddhists. Now, who set the example for such people to emulate over the past eighteen years, ably assisted by sections of the Buddhist clergy? A youth who was 18 years old in 2005 is today around his/her mid 30s, and it is amongst them and those much younger and little older who have become the ethically depraved and destructive generation of Sri Lankans. For a country to develop economically, it first and foremost needs an educated, principled and ethical populace. Hence a country like ours CANNOT and will NEVER develop economically and socially as long as its people are unprincipled. Because, it is from amongst such people – the citizens of Sri Lanka – that politicians are elected to represent us and lead our country. Morally, the main and only reason a man or woman choses Buddhist ordination is to live a simple and meditative life and ultimately attain nirvana and in the meantime, teach the Buddhist laity the philosophy of the Buddha- the Dhamma. Today, how many amongst those referred to as ‘Buddhist monks’ behave and live the morally righteous life? How many of these ‘monks’ know and understand the Buddha’s teachings or reflect it in order to teach the laity? How can they teach what they do not know? At the right moment in time your kind of writing lifts the air where good men women and children breath with a sigh of relief. But not where the nasty , thieves and murderers treads. Surprising to note we still have descent people like you among us. The decades of failure in practising good moral values and Ethics of of being a good citizen vanished from our society due to lack of GUIDANCE which starts from ones household . Practising the cultural moral values disintegrated due to lack of breakdown in family lives. Children were put before their parents. So the MINORS began to think they are the leaders , not their Parents in a household. In some household this practise lead to the Parents Inability to control their children. The Spiritual leadership have failed for decades too due to the behaviours of RELIGIOUS LEADERSHIPS. Spiritualists in Yellow , Red and White began to accept looted CASH , LANDS and GOLD in return of FAVOURS. There is no MORALITY IN SELECTING THE RIGHT CANDIDACY to Rule the Country. The Major PARTIES have ” FAILED IN VETTING ” their CANDIDATES even Before the process of selection on fielding for Election. SIMPLY ONE THINKS IF MY MP AND MY MINISTER , PRIMEMINISTER AND EVEN THE PRESIDENT CAN BEG, STEAL AND MURDER WHY NOT ME AS AN ORDINARY CITIZEN. These are the FACTS and FAULTS of above mentioned groups FAILURE IN THEIR RESPONSIBILITIES. They are the Route Cause. So start from the Grass route level in the following order: Family values, Spiritualists and Educationalists if they follow the Righteousness and PUNISH AND TEACH good values in Life . 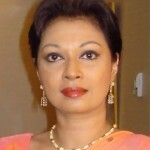 Right now our Srilanka is suffering with the Incurable Disease which will lead to total annihilation, the incurable disease called Thuggery, Greed , Bullying Thieves are among us ,these BaD ELEMENTS needed to be wiped out and Cured for a Descent Srilanka for the likes of Ms Serasinghe to live. Not for the likes of S. B Lokuge ABOVE to live. They are the destructive elements in our country. A good piece of truth well written. While it will be very difficult to change the mindset of the present generation, it would be better to focus on the younger generation who will take up in the next 10-15 years to come. I agree with the suggestion that we should ask Buddhist monks to change the way they preach. There is great deal of opportunity with that option. Firstly I suggest to drop the word’ Sinhalese’ connected to ‘Buddhist’ so that all Buddhists should realise that there are non-Sinhalese practising real Buddhism all over the world and they are the true saviours of Buddhists principles from extinction. The chief priest in the London temple I attend says he does not propagate Sinhalese-Buddhists, but only Buddhists of any kind. This an excellent presentation; a piece of realization, very pragmatic and brave. I am neither a sinhalese nor a Buddhist but have many friends in the Buddhist community. I hear whatyou are saying loud and clear. Let me analyse only the following and give you my thought. 1) As a Sri Lankan first, as a member of the predominant ethnic community – Sinhalese, as a follower of the Buddhist philosophy and as a grandmother, I have taken it upon myself to address the youth and young adults of Sri Lanka, amongst them – the future leaders of Sri Lanka – through this open letter, as I consider it incumbent upon those of us now in our 50s and beyond to advise and do our utmost, to guide those of you who have obviously been misguided and led astray by the unethical and unpatriotic, with selfish and devious agendas. *** You are talking to a Non Existant audience. They are not prepared to listen to what you preach but they are lsitening to MR , GOTHA and the like because hatred is in their Gene.. Most of our problems will be solved if we can solve the Ethnic issue. India has held the Union together because it embraced Fedralism . Just listen to Dyan who is also from an Etnic Community but he comes out with hatred. So what chance have we got. 2) Dear people, for 70 years, we as a people have been used, abused and made fools of by politicians, irrespective of the political party they represent. Today, you, your parents and even your grandparents are used, abused and fooled products of those self-serving politicians. *** This is a habit of a life time and is not going to change. You say you are a grand mother. My advice is live out the rest of your life by singing to your grandchildren. There are some nice Tamil songs and if you want I can help you with it. “KANMANIYE NEE KANNURANGU PONMANIYE NEE KANNURANGU” . Well written excellent article, probably there are no takers or only a quite a few. That is how the society has deteriorated in its ethical and moral standards. It will take generations to fix it. Un fortunately the Mahanayaka’s are getting involved in politics in the pretext of saving Buddhism. The Buddhism in Sri Lanka needs to be saved from these beings in yellow robes. The only reason one becomes a monk is to shorten once Samsaric existence. By getting involved in politics will only prolonged it.. Food for thought here.